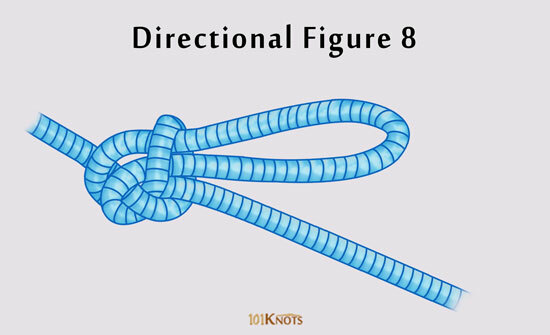 The directional figure eight creates a knot in the middle of the line. It is made on a bight and can take strain in a single direction only. 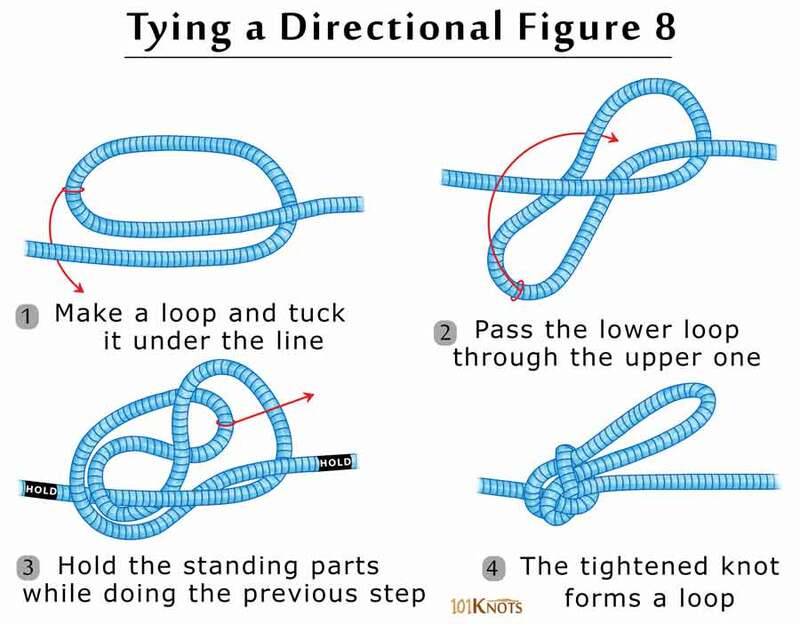 The strong load bearing loop knot finds mention in The Ashley Book of Knots. Can create handholds on a hauling line. Instrumental in attaching a Z-Drag (a mechanical advantage system) to the line in the absence of Prusiks. Alpine butterfly knot – Useful when load is applied in either direction. Figure 8 on a bight – A weaker substitute. Can be tied anywhere along the length.